Computer says “No”, was pretty much the answer that I got from the Tourist Information Centre at Rochester about buses that go from there to Canterbury. They couldn’t even tell me where to connect at all to get there. I am glad that I never tried this self-same road back in 1991 then, as I would have been stuck – but then I never had the idea to try and travel anywhere and everywhere by bus back then either. So it was thanks to a very helpful lady in reception at The Gordon Hotel, who seemed keen to test out the powers of the Internet there with me, that we managed to figure a way out. The Stagecoach Bus site is a little more straightforward to follow in being able to pick destinations, however it is critical to make sure that it is not a timetable for a school bus and that the timetable actually includes both Faversham and Canterbury on its routes. I managed to get a bus that got me to Chatham at 1pm and then one to Maidstone at 1.35pm. 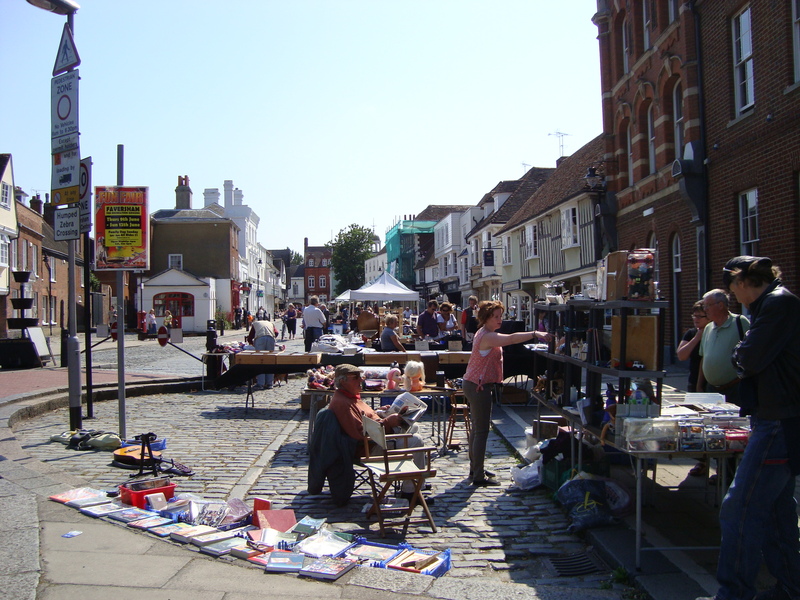 However there was quite a wait for buses to get me from Faversham to Canterbury – enough to explore Faversham though. 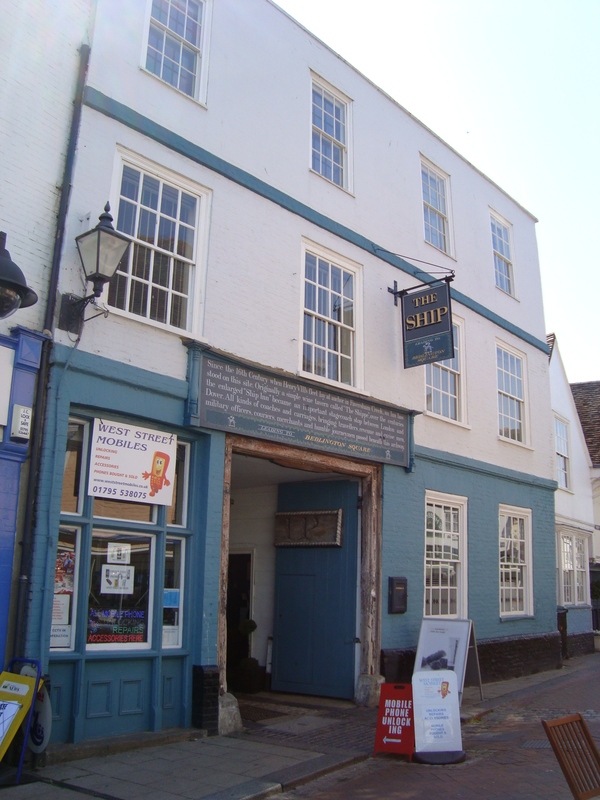 There I found a coaching inn, and one that confirmed what I had discovered about Henry VIII clearing the route up for the Royal way to Canterbury as well as to his fleet and Medway ports in general. It was written on the sign over the door. So, taking the detour to Rochester is certainly not the route to follow if wanting to stay true to how Chaucer’s pilgrims would have got there – nor any other for that matter (which is what I will explore more in the book) – but the key thing is to know what or who you might be looking and hoping to meet or find along the way, as much as what you will discover when you get there. From taking the Canterbury road of the present day (largely driven by King Henry VIII), I was getting an insight into politics of the Middle Ages as well as Tudor periods and how they, as much as the Kings and Bishops that came later, shaped England before it became part of the United Kingdom under James I. One thing I will say, from a pure municipal perspective, is that I found it interesting how services to support “Medway towns” are quite distinct from that of other parts of Kent. There are also several signposts along the way, the moment you leave Maidstone, that indicate you are in a completely different part of Kent from that associated with port towns tied in with The Medway. However this is something I had discovered when I got to Dartford too, and tied in with what I had already suspected as shying away from the Monarch’s Road to Canterbury – down to there being suspiciously two Royal Victoria and Bull coaching inns, with one at Dartford and one at Rochester (and possibly much like the shell game of old, leaving the chooser to try and figure out which one is real). Yet only one of those is the real McCoy as far as having the feeling of a place where pilgrims might meet, and it became very clear to me which one it was from the late night out in Rochester. This entry was posted in Canterbury, Canterbury, Kent, Rochester and tagged coaching inn, Kent bus routes, Kent buses, Medway buses. Bookmark the permalink.